The Altered Page aka Seth Apter, is hosting blogs featuring stacks - paper, books, stuff. My house is full of stacks so these are just a few of them. 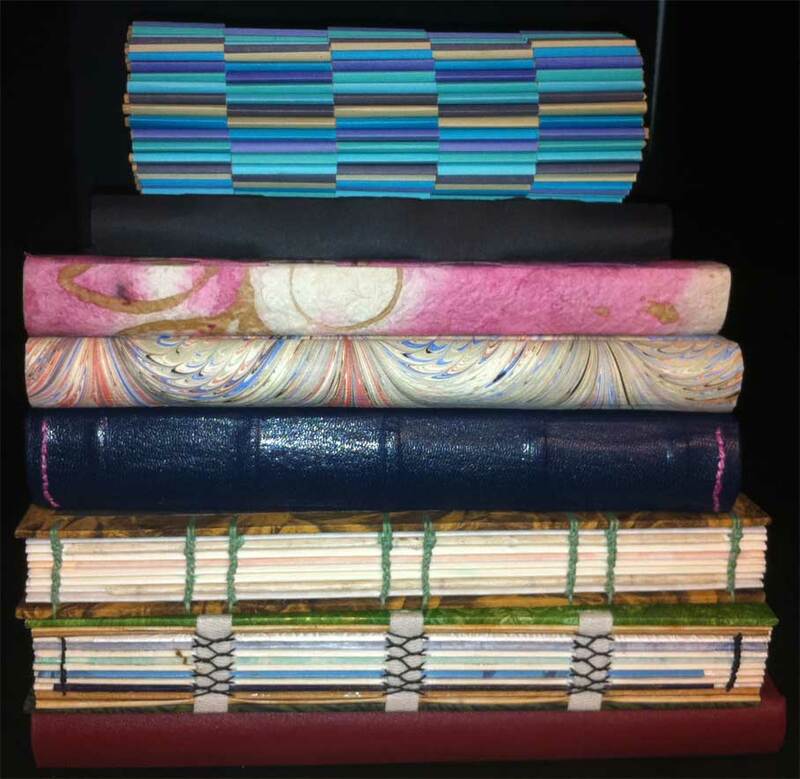 These are books I've made, a mix of artist's books and traditional bindings. 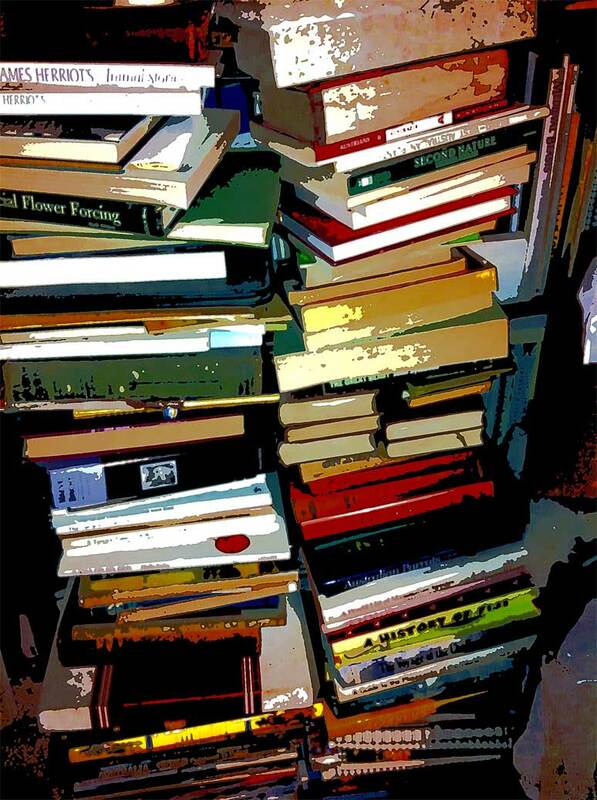 Then there's just stacks, all slightly wonky, ready to topple, and a bit scary. Boxes, and books. 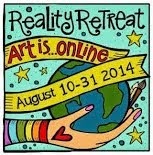 Visit The Altered Page to see a list of all the participating blogs. Or just visit anyway because it's a really interesting blog for artists and book artists. Great images Carol. 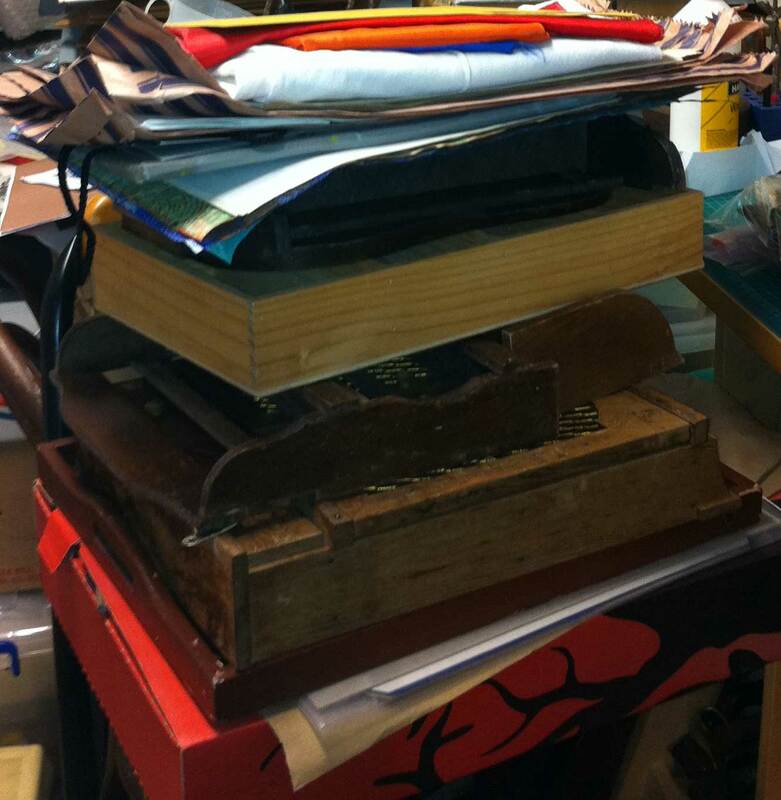 I just love to see all those bindings on the books you made. I just added you to the link list on my blog. 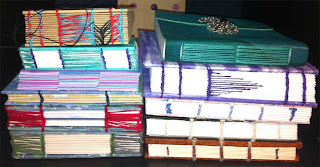 i love all the bindings of your handmade books! they make my fingers itch for wanting to reach out and tough them. Your photos made me smile they are so warm and friendly! Love your spines and bindings!!!! Ive saved your blog so i can go back and have a good long look! Oh, I love the scary wonky ones the best of all! Beautiful, inspiring pictures. Thanks to all who've visited and left comments. I've visited those I can and enjoyed your stacks. Kelly & Carolyn: I couldn't find blogs for you so please accept my thanks for your comments. Your stack of hand bound books is sensational.I wish I lived a bit closer to Sydney to learn from you. Thanks for the comment on my stack. I love your slightly wonky, ready to topple stacks. 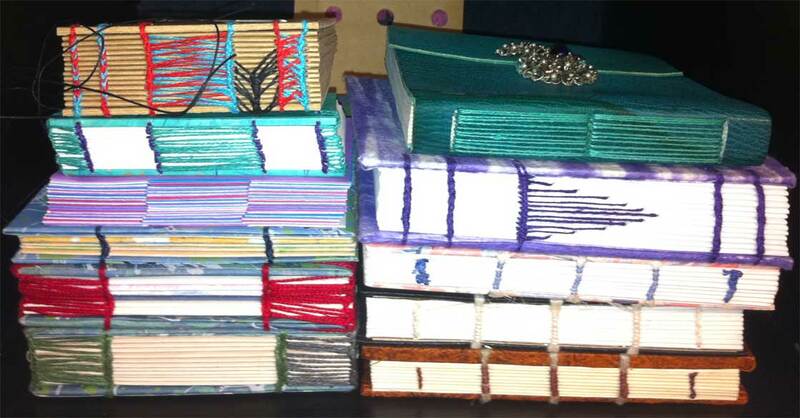 I would love spend days perusing all those savory books :) Including your gorgeous hand-bound books! And you definitely win the prize for the tallest stacks!!! Wow..! these are joy to my eyes and senses..Im new to this but your stacks are so inspiring I want to just quit my day job...what a delicious post this is..! Wonderful stacks! Very cool indeed!! Beautiful stack of books. Your handmade bindings are wonderful! Your journals are so thick! Love the bindings. Wonderful images - I love the towering stack - such yummy abundance! WOW! Those handmade journals with their awesome stitching, are fabulous. Of course, I like all the ones that look like they are going to topple over at any second, too. You have some great stacks! Sorry I'm late arriving, but I'm determined to see all the stacks by the end of today. 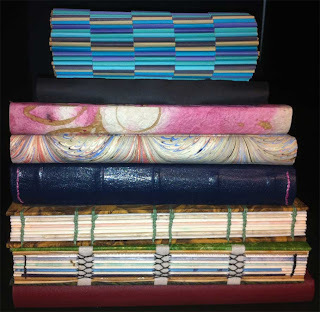 Love the artistic book shot and your wonderful stitching on your hand made books. oh wow. love the last pic. now that's a stack! Thank you for all the inspiration your blog gives me, Carol. I have presented you with the Liebster Blog Award. Congratulations!